We recently released details of the new TORQ Chew, so now it’s time to introduce our second innovation, also launching this month. 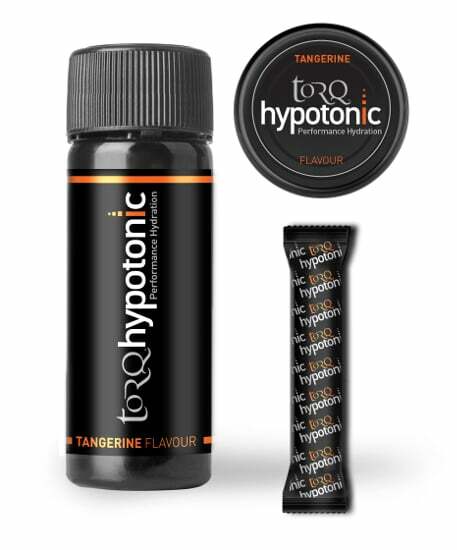 Designed specifically to optimise hydration during short intense sessions/races, TORQ Hypotonic is a valuable performance tool that needs to be considered part of your arsenal for 2016. 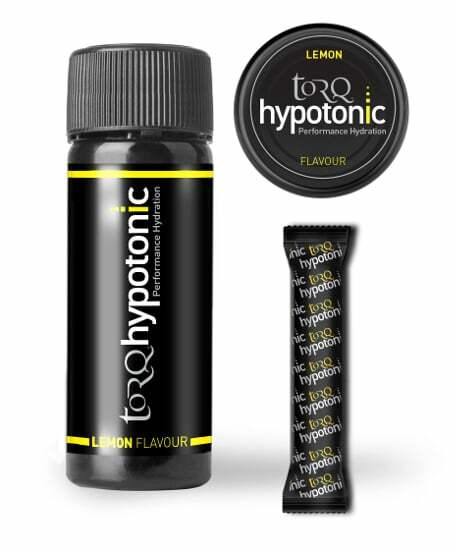 Product Summary: TORQ Hypotonic is sold in a handy plastic screw-top container containing 6 X 18g hypotonic sachet/sticks. Each stick mixes with water to make an optimal 500ml dose, specifically aimed at hydration, where events/sessions are no more than an hour long and heavy sweat loss is anticipated. TORQ Hypotonic can also be used as part of the TORQ Fuelling System during longer events and the handy 6-pack makes carrying your drinks very easy, as it slips nicely into the rear pocket of a cycle jersey. 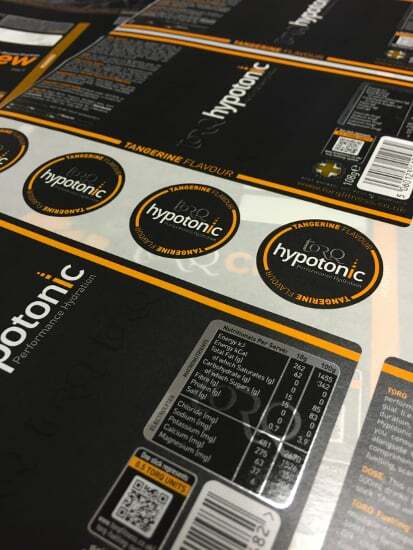 Each hypotonic stick contains 15grams of carbohydrate, so achieving optimal fuelling for longer durations using TORQ Hypotonic alone is literally impossible as it would require consuming 3 litres of fluid! It is therefore essential that you read and understand the TORQ Fuelling System and consume enough of TORQ’s solid fuelling units (TORQ Gel, TORQ Bar and new TORQ Chew) in these scenarios. Our advice for longer efforts, where fuelling is required as well as hydration, is to use TORQ Energy as your drink source, because the isotonic nature of this product will provide a better balance between fuelling and hydration – that said, the choice is clearly yours, as long as you consume 2-3 TORQ Units per hour. A Hypotonic solution is not a significant fuel source: Although 500ml of TORQ Hypotonic represents 0.5 TORQ Units (15g carbohydrate), we do not consider this a significant fuel source and therefore, if exercising at moderate to high intensity for longer than 45-60 minutes, TORQ Hypotonic should be used with TORQ’s solid fuel sources (TORQ Gel, TORQ Bar and new TORQ Chew), so as to achieve between 2 and 3 TORQ Units per hour (60-90g of carbohydrate). For further information about the TORQ Fuelling System, click on this LINK. Ideally, we highly recommend that during these longer exercise bouts, TORQ Energy is used alongside TORQ’s solid fuel sources rather than TORQ Hypotonic, because this makes it easier to simultaneously address one’s fuelling and hydration needs and will be significantly lighter on the wallet! Ultimately, it’s the rider’s choice though and mixing TORQ Hypotonic with enough solid fuel sources is a perfectly valid strategy – as long as the magic 2-3 TORQ units per hour is hit. TORQ Hypotonic offers all the convenience of an electrolyte tablet with significant performance advantages: We have packaged TORQ Hypotonic in such a way that 6 sticks of TORQ Hypotonic powder can be transported easily in a cycle jersey pocket. The canister can also be strapped to the frame of your bike using one of our TORQ Straps (available separately). TORQ Hypotonic will hydrate you faster than an a electrolyte tablet: Research (1) has shown that the addition of both sodium and glucose to water improves the rate of fluid absorption as a result of the co-transport of water with glucose and sodium across the intestinal wall and into the blood. Both water and electrolyte tablets contain ZERO carbohydrate and are therefore, slower to hydrate the human body. Why is plain water a particularly poor hydrator? Plain water causes bloating due to poor absorption and also suppresses the thirst reflex, leading to decreased desire to drink. It also stimulates urine output and is therefore, inefficiently retained within the body. The carbohydrate and electrolytes in TORQ Hypotonic overcome all of these problems. TORQ Hypotonic does not contain artificial sweeteners: The multiple-transportable carbohydrates used to assist with the hydration mechanism have natural sweetness, so artificial sweeteners do not need to be used. All calorie-free electrolyte tablets must contain sweeteners of some kind due to their low mass and absence of carbohydrate. TORQ Hypotonic does not contain added colours: We do not put colours into any of our products. We believe that only ingredients that are entirely necessary from a performance perspective should be included in our products – and colours do not enhance performance. They also offer another barrier to digestion which simply doesn’t need to be there. TORQ Hypotonic does provide ‘some’ fuel: As we’ve clearly explained above, optimal endurance performance requires a clear focus on both fuelling and hydration and it is well documented on the pages of the TORQ website that we feel customers are being misled into purchasing electrolyte tablet products, because the facts are not fully explained to them. We see it as a huge part of our philosophy at TORQ to educate people, but we can’t reach everyone, so for those who don’t fully understand the interplay between fuelling and hydration, at least if they pick up TORQ Hypotonic to use as a convenient transportable drink, the user is receiving ‘some’ carbohydrate through their hydration to delay the onset of fatigue – 15g for every 500ml of drink they consume, compared with 0g per 500ml consumed if they are using electrolyte tablets. This means that TORQ Hypotonic will outperform electrolyte tablets at every single level if direct comparisons were to be made. It’s not just the heightened ability of the product to hydrate, but also the delivery of some carbohydrate fuel as a mechanism for delaying muscular fatigue. Once again, we must remind you that to ensure that you use the correct TORQ products in combination with each other, we have devised the TORQ Fuelling System to make your choices very easy. 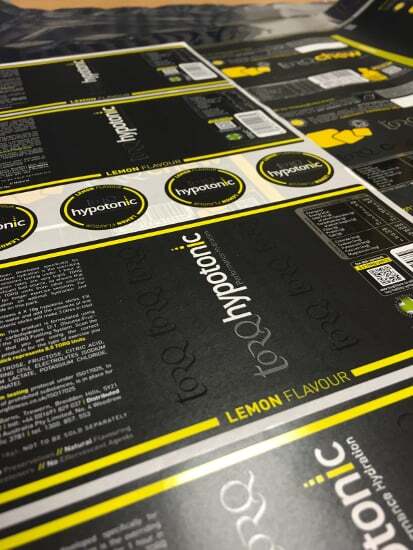 TORQ Hypotonic will be available for purchase at stores all over the UK and from our Online Shop from mid to late January 2016 (within a month of this article going to press). For further information, please pick up the phone and speak to us on 0344 332 0852. 1. Baker, L., Jeukendrup, AE. (2014). Optimal Composition of Fluid-Replacement Beverages. Comprehensive Physiology, 4:575-620.